The New York-based artist appeared at a BBC celebration of the city. Earlier this month serpentwithfeet took part in a special performance as part of the 2018 BBC Proms. Titled "New York: Sound of a City," the live performance saw the Heritage Orchestra and conductor Jules Buckley celebrate the sound of modern New York. Guests on the night included Hercules & Love Affair, Sharon Van Etten, and Nitty Scott alongside serpentwithfeet. His stunning rendition of "Bless Ur Heart" from London's Royal Albert Hall can be seen above. Thumbnail image courtesy of BBC. 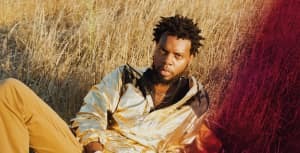 Revisit serpentwithfeet's FADER cover story here.